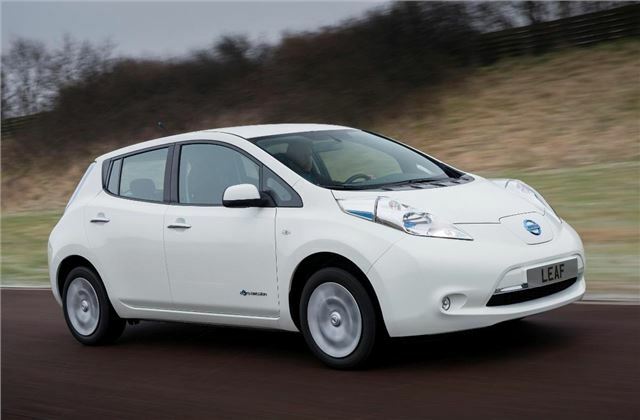 Nissan has updated the Leaf, its electric model. The new car will be built at the Nissan Sunderland from Spring 2013. Key tweaks include improved maximum range, up to 124 miles from the outgoing model’s 109. Luggage space has been improved, too, thanks to a repositioned charging socket. 84 miles according to the EPA, most people will get between 75 and 110 miles, not bad for most people, and a lot cheaper than a lesser spec VW Golf 2.0 TDI DSG, it's much much cheaper to drive on electricity too than diesel and will probably give much less trouble as there isn't much to go wrong with an e.v, it's certainly prooved itself ultra reliable since it first came out in 2011, there were a few battery issues but in Arizona where it's hot and won't effect us. I drove the Leaf a few months ago and I was very very impressed, the power delivery is amazingly superior to any engine. When it's time to say goodbye to the Prius, I will without doubt be getting a Leaf.